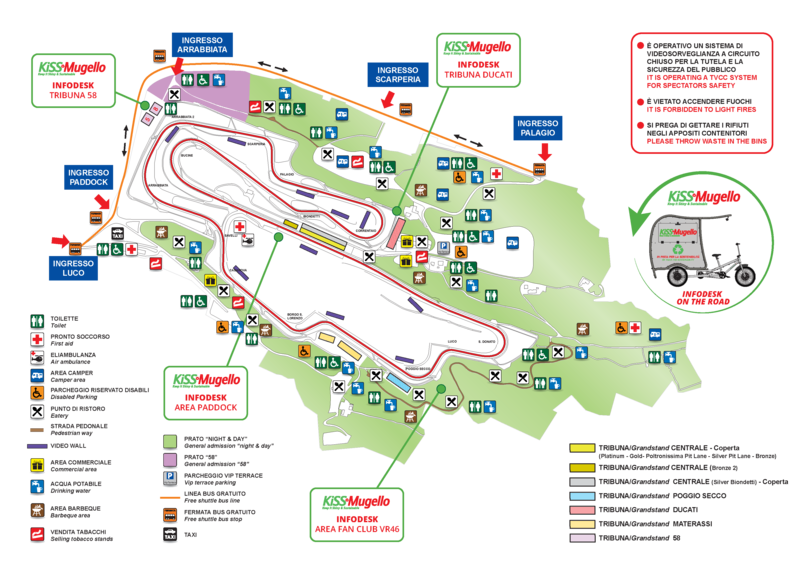 During the Grand Prix we are present inside the circuit with 4 INFO DESKS positioned at Paddock Area, 58 Tribune, Ducati Tribune and Area Fan Club Valentino Rossi Tavullia. Come and visit us to find out lots of interesting information about the program and the environmental and social initiatives of this year. Talking with the KiSS Crew - the Team dedicated to KiSS Mugello that has been composed by Right Hub e da giovani volontari dell’associazione Sport e Sostenibilità Italia - you will discover how you can contribute to making the Grand Prix more and more sustainable and how you can reduce your environmental impact even at home. To protect the environment, everyone's collaboration is important! Our INFO DESKS are provided with eco-forniture made by the social enterprise Cooperativa Sociale Palm Design using recycled pallets FSC/PEFC certified wood.